Buy your Alpinestars Atem V3 Motorcycle Jackets at Champion Helmets and get: ✓Best price ✓Free shipping ✓5% Cashback on your Order Value ✓Super Fast delivery ✓Order now! 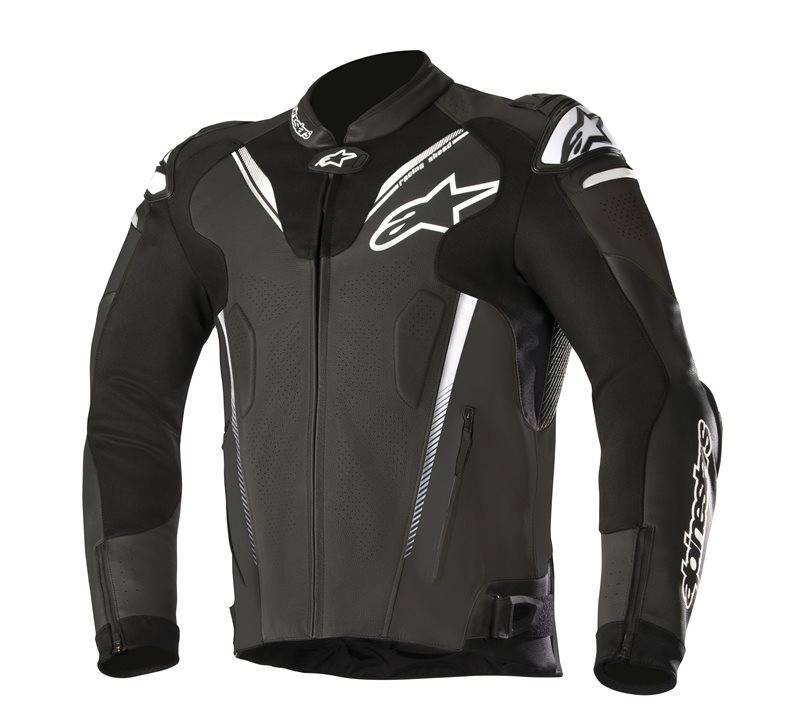 This sporty leather motorcycle jacket is the successor to the successful Alpinestars Atem leather suits. The jacket has been extensively tested in terms of protection and performance. The jacket is made of very durable leather of superior quality. Aramide stretch parts have been used for a good fit and a lot of freedom of movement. The perforated aerodynamic racehump contributes to ventilation while driving and aerodynamics at high speeds. Compared to the predecessor, improvements have been made to the Alpinestars Atem V3. The mesh lining is slightly extended for better ventilation. The collar is somewhat lowered for better comfort. On the back, the accordion panels have been slightly extended for better freedom of movement. 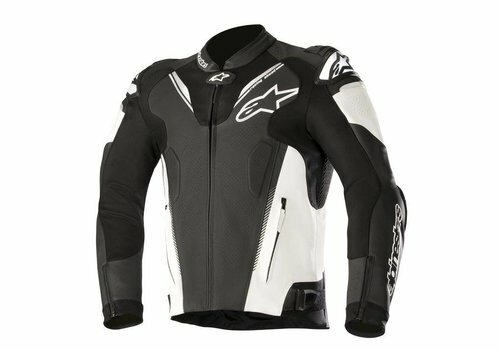 A counterpart of the Alpinestars Atem V3 is Dainese Super speed D1. The jacket is made of 1.3 mm cowhide leather. Aramide stretch panels are applied to the chest and back for flexibility. Taslon fiber is processed on the inside of the sleeves and the closures are made of nylon. The lining in the Atem V3 is made of breathable airy mesh material that feels soft to the touch. The collar is slightly lowered and lined with soft and comfortable microfibre material. 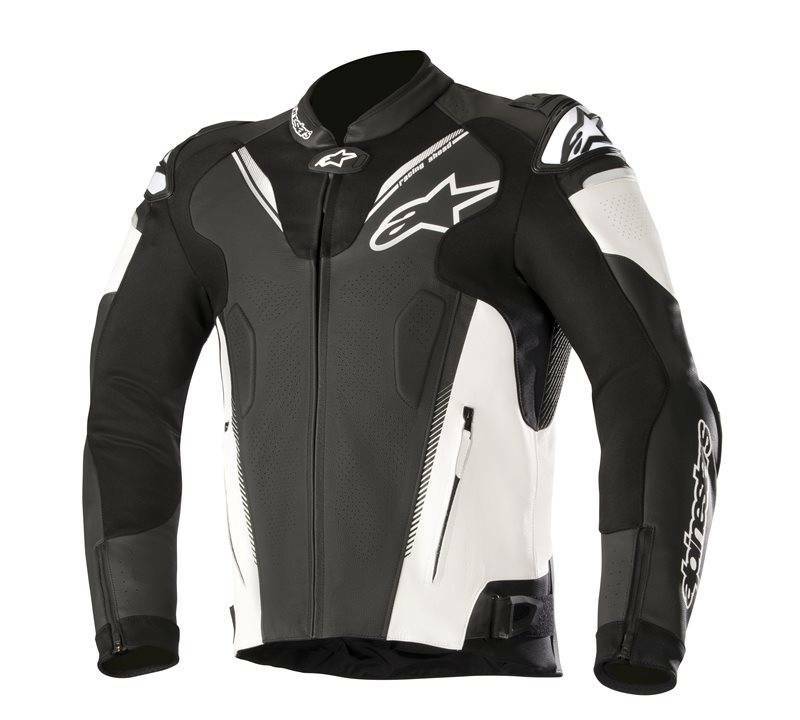 The Alpinestars Atem V3 is a very comfortable jacket due to the perfect fit, the great freedom of movement and the extensive ventilation. This is due, among other things, to the aramid stretch parts and accordion parts that are incorporated in the jacket and the many ventilation parts. The D-ring waist adjustable closure gives optimal fit and keeps the jacket perfectly in place. The removable 3D mesh lining feels very comfortable. The collar is designed to reduce irritation and abrasion. 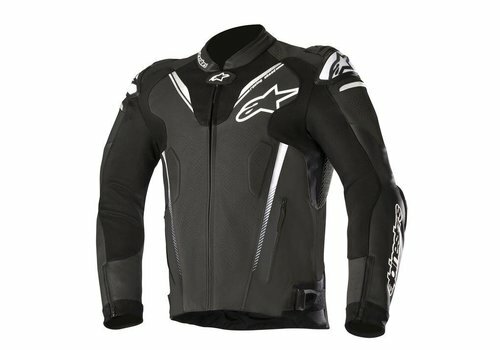 The Alpinestars Atem V3 has 2 zip pockets and a waterproof, lockable inner pocket. The jacket has a jacket-pants fastening system that allows the jacket to be attached to a Alpinestars trousers by means of a zipper.